.... So hardly a "Global" reference. BUT also ..all that data has been "Corrected/ Processed" ..more than once... Resulting in the oldest measurements being LOWERED by more than 1deg from their original raw records. That highlights a problem i was talking about a year ago, but never managed to convince anyone it was problematic. There is also a problem in current records with weather station distribution over time. The distribution currently heavily favors the northern hemisphere, where most CO2 is emitted. If you look at records of the distribution, you'd see that there have been periods of time where far more stations were installed in the north than the south. Just this in itself would create a warming trend at a global level. Even today, we have a weather station distribution problem. The global temperature should more accurately be called the 'where most humans live' dataset. 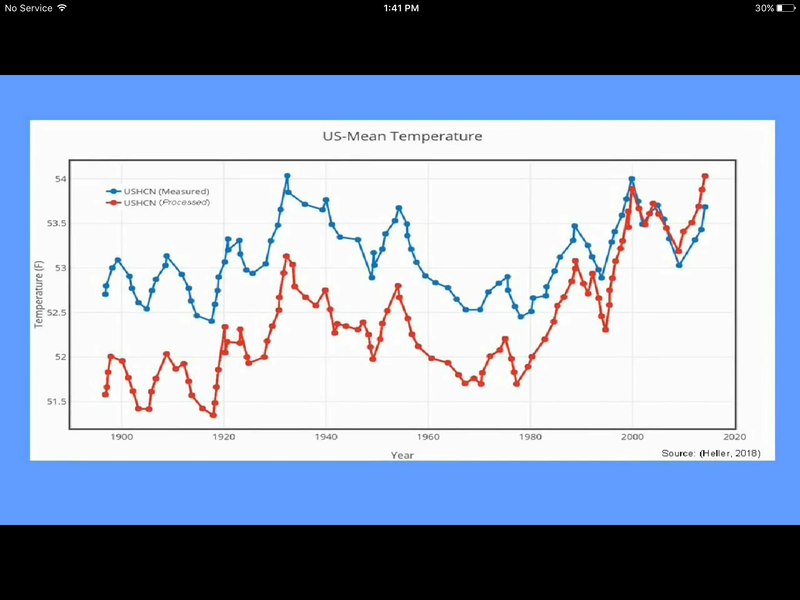 This doesn't make the data useless to establish a warming trend; but it does color the data. The only way to know how much the data is colored is to contrast it with an equal distribution measurement. But that's an extremely expensive project i'd doubt that anyone has the interest or funding to take on. I looked for what methods are used to correct for this problem in global temperature calculations and could not find any stated methodology for it. There is some weighting used for the difference in # of stations per region, but not for the temporal problem. Bit of an omission to disclude China in that graph.. Wish i had more current data. I think the trend is exacerbated until literally this year when the USA and EU decided to add huge tarrifs on trade with China. It is not about Country x vs y, but about the trend in energy consumption. For Germany primary energy consumption has been dropping slightly during the last decades (primary energy consumption from only fossil+nuclear is dropping more significantly) while we still have a slight grwoth in industrial production, a slight growth in population, a significant growth in exports (mainly goods, which include more gray energy per USD than services or basic resources). It's far from perfect or even good, but at least this level of reversing growing energy consumption is quite easily achieveable and "high energy prices" do neither hurt the industry, nor your competitness nur does it need to affect your public budget. It also shows that shutting down nuclear power plants is an option if you like to do that. What's happened in Germany is pretty interesting and indeed contrary to what fossil fuel hawks believe. 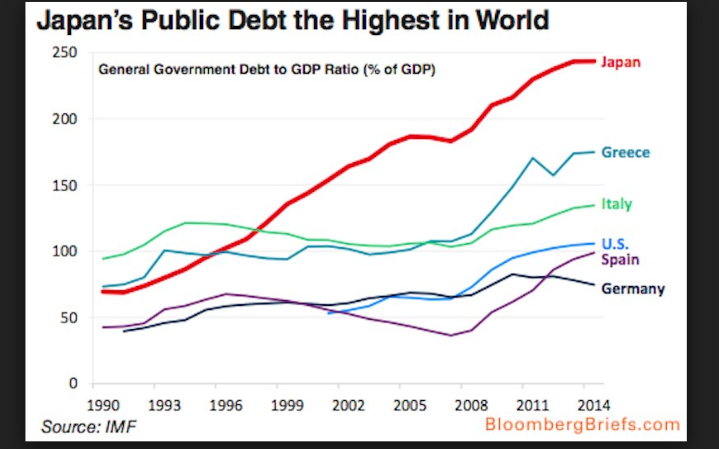 I see that their public debt to GDP is also on a downward trend. I wonder if it's really all puppy dogs and icecream though. On a watt hour generated per dollar basis, renewables are still a difficult pitch from an economics point of view. 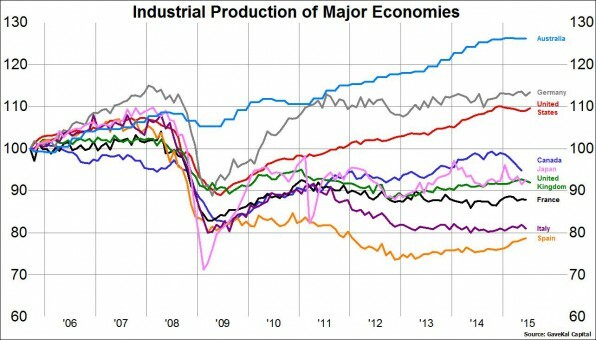 How is Germany doing so much better than everyone else? Thanks for your very insightful and detailed post. I am not against solar and wind as it must seem but I am pro math and feel compelled to keep the discussion straight so that we can know what is coming at us if we don't make a massive, all out change. It will not be as easy as most people have been led to believe. The wind map I posted was for 100 meter data. Which even for a 5W/ m density in the red still requires more than the area of orange and red to be fully populated with turbines in order to make the 1/6 of current energy that you have forecasted that will be needed assuming a 3:1 efficiency gain and 50% of that as onshore wind. Debt vs GDP. Keep in mind personal debt was arbitrarily reduced after 2009 as people walked away from their responsibilities in default. 50 MW concentrated solar being built? Why bother with CSP for only 50 MW? Wouldn't it make more sense to at least build big enough to peak out a lone 300 MW steam turbine if you were going to do anything at all? And the China government is paying a feed in tariff of $0.22/ kWh for these 3 projects. I pay less than half of that for my electricity delivered and taxed to my meter. 50 MW concentrated solar being built? Why bother with CSP for only 50 MW? CSP is the environmentally unfriendly kind of solar. I pay less than half of that for my electricity delivered and taxed to my meter. Yes, electricity generated from burning coal is quite cheap in comparison. NY state has 0 coal. 3/3/3 gas, hydro, nuclear. Whatever You know what I meant. The only generating methods more expensive than CSP are diesel reciprocating , and rooftop PV solar ! Don't forget to subtract grid installation and maintenance/distribution costs from that. If you want to benefit from FIT or have power during the night,...you will need the grid. ......and most likely a back up generator ! When PV users get energy from the grid, they're paying for it like everyone else, and then additional costs like additional meter charges and insurance premiums. But of course I should have asked you first what exactly were you comparing. Based on simulations and depending on assumptions we would need around 1-2% of the area for wind onshore share in a 100% RE electricity Scenario and maybe 3-4% for wind onshore in a 100% all energy scenario. This is with Technology that is available today. Onshore wind parks also not "lost area", you can still use it for forests or agriculture. In 2021 feed in tariffs for our oldest solar rooftops will end. I hope that they will not get any feed in tariff after that and are able to feed in to the grid for exactly 0 ct/kWh. Those old PV systems will still be profitable, because if you can subtitude a significant amount from your grid usage you get a mixed price that is easily high enough to pay for all costs to keep those running. There are already studies on those old PV plants and most of them still run very well after 20 years. Disadvanatge is, that this "free solar energy" will be available mostly in tims when all other newer solar PV plants are producing energy, too. For the first time in October 2018 the market price of electricity of solar energy was lower than subsidies for new(!) PV power plants in Germany. 178 meter tall tower topped by 3.4MW turbine with a predicted 35% capacity factor. So. 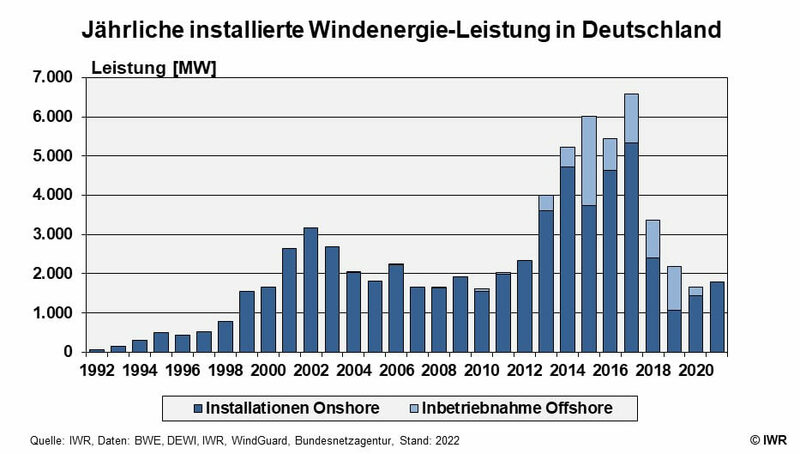 To make 1/2(from onshore wind) of 1/2(efficiency gains from full electrification) of Germany's total energy (0.44 TW currently) with these tall turbines needs 0.1 TW total from onshore wind. 3.4 MW turbines on 170m towers is apparently about as big as it gets due to limitations of transporting larger nacelles or blades over roads. 35% CF is predicted. Which is 10% higher than the current world average for onshore wind due to the extremely tall towers. This would be 83,000 wind turbines in total. 5 rotor diameters spacing between each one to avoid dominoes from a tossed blade, and to reduce wind shadows is 1 per km2. 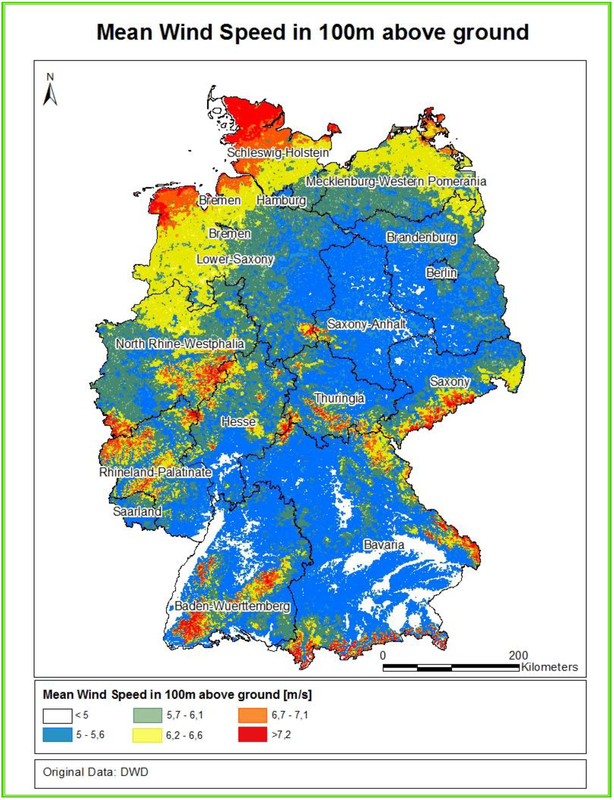 83,000 km2 is 24% of the land area of Germany fully populated with wind turbines. But 24% of Germany is not all of adequate wind resources. squeezing them to 3 rotor diameters spacing gets it down to 50,000 km2. 14% of the total land area. To build them all in 20 years so that we can start rebuilding them all over again as they wear out is 11 per day. And then start over with rebuilding them all continually at 11 per day forever. For 1/2 of 1/2 of Germany's current energy. Multiply this by 38 for the world. 3.4 MW turbines on 170m towers is apparently about as big as it gets due to limitations of transporting larger nacelles or blades over roads. Enercon E141 is a 4,2MW wind power plant built to use and transport onshore. There are newer designs where rotor blades are transported in more than one piece. Towers are already segmented. 35% CF is predicted. Which is 10% higher than the current world average for onshore wind due to the extremely tall towers. 54,000 wind turbines with a average lifetime of 20 years would translate to 2,700 onshore wind turbines every year. Your number is a bit higher, because you use a bit higher energy consumption, a bit less powerfull wind power plants and a bit lower capacity factor. This cumulates to the difference. This is where we have differnt numbers and this happens because we calculate area consumption from wind parks differently. Germany has already 29,000 (mostly smaller) wind power plants installed and most wind parks come at just a few power plants per wind park. Typical spacing is 5x rotor diamenter in main wind direction and 3x rotor diameter 90° to that which gives you an ellipse. If you calculated simplified with that 5 wind power plants = 1 ellipse and calculate only the area inside the ellipse as area consumption. For r=126m this would be 10,7ha for 1 wind power plant, so for r=141m I used 13,4ha =0,134km² for one wind power plant. Multiplied with 54.000 wind power plants this would translate to 7236km² which is 2,0% of Germany. For this scenario (100% energy, not only 100% electricity) I wrote 3-4% instead of 2% because sometimes wind parks are not so idealy spaced, wind over forests needs more area and to have some reserve in the calculation. So in the end we use a rather similar approach, but just have different opinions about the definition of the area "consumed" by wind parks. I assume we can both agree that a very significant amount of aera is needed (in densily populated Germany) and someone would be able to see wind power plants from many palces in Germany for such a scenario. Those wind power plants would become a visible part of our daily life as are cars on the road or planes in the sky for example. The society has to decide if this is acceptable. To produce 750TWh/a (or 850TWh/a from your numbers) alternativly you would need something around 70 modern large and super expensive nuclear power plants at 1,4GW each (at 7500h/year). Those would be much less visible, but there is no strategy how to get the fuel for those (if this would be a world wide strategy) and at the history of failure rates with an major accident every 10.000 reactor-years would translate to a risc of a catastrophic widespread contamination (which would cost more than the entire energy transition if it hits major populated areas) to 0,7% per year or 30% over 50 years. There is also the problem of cost (modern nuclear has become much more expensive than wind per kWh), the still unsolved problem of waste managment and the problem of cooling. In summer 2018 German nuclear power plants had to throttle because the rivers had too little water. France faces similar problems in hot summers. You could use alternative cooling strategies like most of our lignite power plants do, but those also consume lots of (ground) water. We already have 29,000 wind power plants. In my scenario 2,700 wind power plants * 4,2MW would mean 11GW installation per year. This is double the 2017 numbers and imho definitly not out of the world. 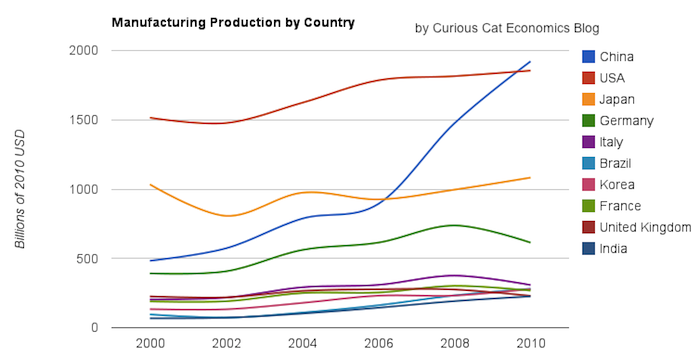 I assume German industry could realise that in 2020 if there would be just enough demand for them. Last edited by Cephalotus on Jan 10 2019 10:07am, edited 1 time in total. If you calculated simplified with that 5 wind power plants = 1 ellipse and caluclate only the area inside the ellipse as area consumption. For r=126m this would be 10,7ha for 1 wind power plant, so for r=141m I used 13,4ha =0,14km² for one wind power plant. Multiplied with 54.000 wind power plants this would translate to 7236km² which is 2% of Germany. For this scenario (100% energy, not only 100% electricity) I wrote 3-4% instead of 2% because sometimes wind parks are larger, wind over forests needs more room and to have some reserve in the calculation. But you will not have farms with only 5 turbines there will be dozens to a hundred at each location. So you must also include the area of all of 4 of the 5 turbines (except for those at the perimimeter which will still have a similar safe zone from any building or roads). So you must increase your calculation of area times 4. Typical size of windparks in Germany is just a few turbines per park. Large parks are very rare. I also didn't write 2%, but 3-4%, so there is room for less than ideal conditions. Maybe we can agree that is is possible to build enough wind power plants to power Germany at 100% RE, but you will need somewehre around 50,000 to 80,000 large turbines (compared to todays 29,000 mostly smaller ones) and those turbines will also be visible in large parts of Germany. An installation of 11GW per year would be needed for such a 100% RE scenario, which is twice the installation of new onshore wind energy capacity compared to the year 2017. 1) Yes nuclear is expensive.